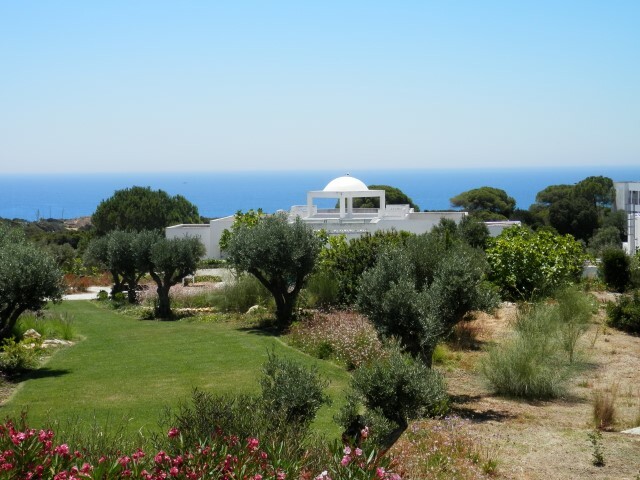 The conference will take place in the beautiful Hapimag resort west of Albufeira at the Algarve coast. The Albufeira Hapimag resort could be booked to accommodate all participants due to shares held by Harald Fritzsch. The apartments can be rented only for a whole week (from Saturday to Saturday). However a rather moderate price could be negotiated. Albufeira can be most easily reached by planes flying to the airport of Faro about 25 km east. From there a shuttle transport will be arranged by Hapimag at the beginning and at the end of the conference. Probably the airline Ryanair will fly to Faro from various cities in Europe, e. g. from Munich, on October 24. Probably we can arrange one or two buses to transport the participants from the Lisbon airport directly to Hapimag, if this is necessary. We anticipate only a moderate registration fee, to be announced in the 1st bulletin (=> left side), which will also contain further informations. The conference will not provide travel and/or local support for participants and speakers.